Flower City Glass can provide flush Fiberglass Reinforced Polyester (FRP) doors and frames manufactured by Special- Lite. These FRP doors are very popular for schools, public buildings, and sports complexes because they are extremely durable, can withstand heavy traffic and perform well to adverse environmental conditions. The FRP face sheets won’t rust, corrode, crack, split, peel or rot, and they are easy to clean and maintain. FPR entrance doors come in a variety of colors and glass options to compliment the exterior design of your building. FPR entrances are available with 90 minute fire ratings as well. 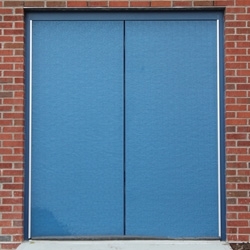 We’ll work with you to ensure your FRP door is built to your exact specifications.